WASHINGTON (Dec. 12, 2013) -- Nearly 19,000 active-duty captains and majors in the Army Competitive Category will go before either an Officer Separation Board or Enhanced Selective Early Retirement Board early next year. The OSB and eSERB will evaluate the eligible captain and major populations by year group, and will select from as little as 5 percent to as much as 18 percent of specific considered year groups originally over-assessed to support a much larger force. Nearly 19,000 active-duty captains and majors in the Army Competitive Category will go before either an Officer Separation Board or Enhanced Selective Early Retirement Board early next year. The Army will select the minimum number for separation that will allow it to meet congressionally mandated end strength, officials said, with this year's board directing separation for up to 2,000 officers. Dave Martino, director, Officer Personnel Management Directorate at Human Resources Command, said the Army's drawdown plan is a "balanced approach that maintains readiness, while trying to minimize turbulence to the officer corps." The reductions in the officer force are meant to coincide with the reduction in Army force structure, he said. "As the structure reduces in size, the Army officer corps will make a requisite reduction relative to that structure." He also said the OSB and eSERB will separate "fully qualified and officers who have rendered quality service to the nation. Therefore we will execute the OSB and eSERB with precision, care and compassion." 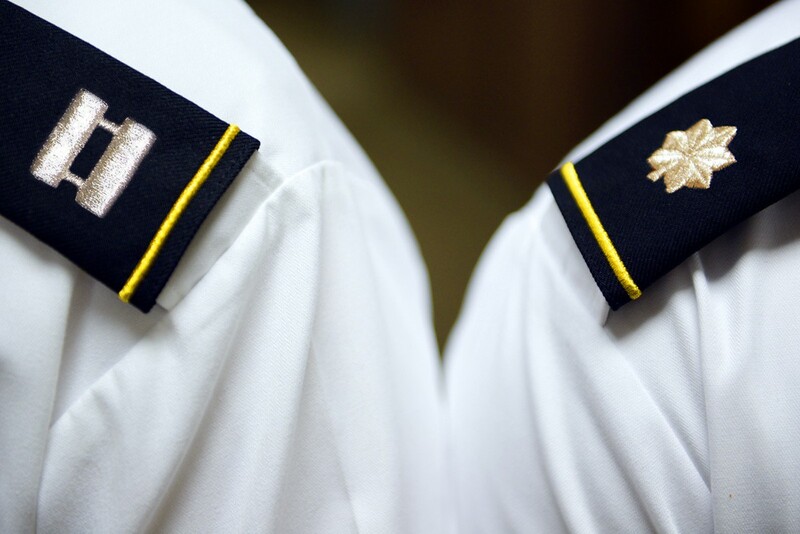 Beginning in March 2014, about 9,735 captains will go before an OSB. About 699 captains will face an eSERB. Captains going before these boards come from year groups 2006, 2007 and 2008. Beginning in April, the future of about 6,943 majors will be decided by an OSB, and 1,504 by an eSERB. Majors going before these boards come from year groups 1999, 2000, 2001, 2002, and 2003. Officers have already been notified of their eligibility for either an OSB or eSERB. It will late be winter or early spring 2015 before officers will begin separating or retiring from the Army as a result of decisions of the boards, officials said. Among officers selected by an OSB for separation, those with less than 15 years will receive separation pay. Those with more than 15 years but less than 18 years may receive separation pay, but may opt to also apply for Temporary Early Retirement Authority. Officers eligible to go before an eSERB must have 18 or more years of service. If those officers are selected by the board, they are entitled to serve until their 20th year and retire then, or they may choose to apply for TERA so they can retire earlier. "If an officer is selected by the eSERB board, they will be able to serve until their twentieth year," said Hillary R. Baxter, division chief, Leader Development Division. "Then they will have a mandatory retirement date at that point. They still are safe to get a 20-year retirement if they so choose." Before going before either an OSB or eSERB, officers should have their records up-to-date and accurate, said Col. Stephen C. Sears, deputy director, OPMD. That is something their commanders can help with. In addition to emails that have been sent to affected officers, emails have also been sent to commanders in the field at the colonel level, so those commanders can help counsel officers in the zone of consideration. "That is an important piece -- for these commanders to sit down with officers and look them in the eye and help them prepare their records, from that position of experience, and to give them an assessment of where they think they stand in terms of their peers," Sears said. Sears said officers need to make sure their records accurately reflect their performance, are complete, and have an up-to-date photo. For online guidance on how best to accomplish this, Sears said officers may view the CAC-required website at https://www.hrc.army.mil/officer and then select "How to prepare for an OSB, SERB, eSERB." Sears also said assignment officers at Army Human Resources Command are ready to help officers who call in needing help to repair records and update their file. Officers who leave the active force before they expected don't necessarily need to take off the uniform forever. The reserve component is ready to take on some of the best officers to put them into either the Army Reserve or the Army National Guard. Col. Charles A. Slaney, with Army Human Resources Command, said reserve-component career counselors stand ready to help Army officers prepare to move into one of the reserve components following their active-duty career. He said the Army has put significant investment into developing officers, and that one role of RCCCs is to retain that valuable human capital investment. "We want to preserve that by putting them into the reserve components," he said.